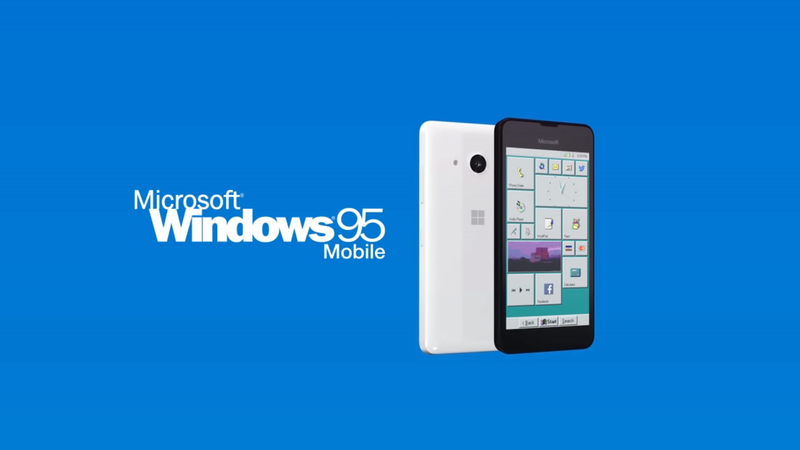 Would you swap Android or iOS for Microsoft Windows 95 Mobile? We’ve written a lot recently about 2018 editions of past Windows operating systems, including Windows 7, XP and even Windows 95. Microsoft Windows 95 Mobile imagines what the 23-year-old OS would look like if it was running on a modern smartphone today, and while its creator firmly has his tongue in cheek here, I have to say it has a certain retro-appeal to it. Created by 4096, this concept video starts with the old pixelated Windows logo on the lock screen, before revealing the genius of the design -- a tiled interface like that found on modern Windows phones, but with the grey color scheme and icons of the past. With this phone you can download apps from the Windows 95 Store, including WhatsApp, Twitter, Skype and YouTube, and do a spot of work using Word 97. And who needs Siri, Google Assistant or Cortana, when you can have Clippy as your personal assistant? It’s all very entertaining. Check out the video and share your thoughts in the comments below.